Italmodular cooler shelves are designed to organise efficiently the workspace without renouncing to cleanliness and the respect of the hygiene requirements. Italmodular uses only the best materials to build their structure. Our cooler shelves are made from an alloy of 12-20 micron anodized aluminum, a lightweight material but impact-resistant, non-toxic, non-magnetic and resistant to corrosion. 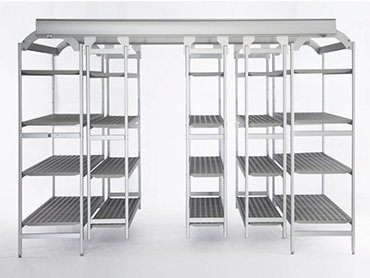 These characteristics make them particularly adapted to the use or in a dry environment or in a cooler room, in addition to the resistance it is also easy to clean thanks to the design of the shelves, making them respectful to the NSF and NF hygiene requirements. The IM|92 system is perfect to manage with the space of the cooler room, thanks to the variety of solution of the range including products such as the modular shelves or the rolling shelves, driven from the floor or the ceiling. High loading capacity, stability and easy building : these are some of the characteristics of our cooler shelves. 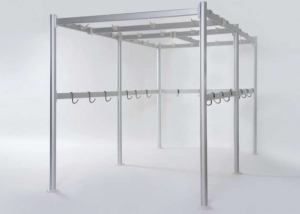 This modular system is produce in a large number of standard measures, they can all connect together offering the maximum adaptability and enabling in this way a notable saving of space in addition to the original storage purpose. Besides, Italmodular created the software “Shelving Optimization” to help their client, using this software it is now possible to design in few minutes the configuration of your own storage space thanks to the 3D display you can directly access to the final solution and to the estimation. The Overhead Sliding shelving system Easy Compact solution is composed of two lateral shelves as fixed support for the scroll track, you can also add two other modules if you want. 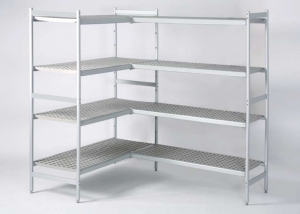 Thanks to its structural characteristics this shelving system for cooler shelves is particularly adapted to the smallest environment, exploiting the space available in the best way and with an accessible price which enable to amortize quickly and without any difficulty the economic investment. 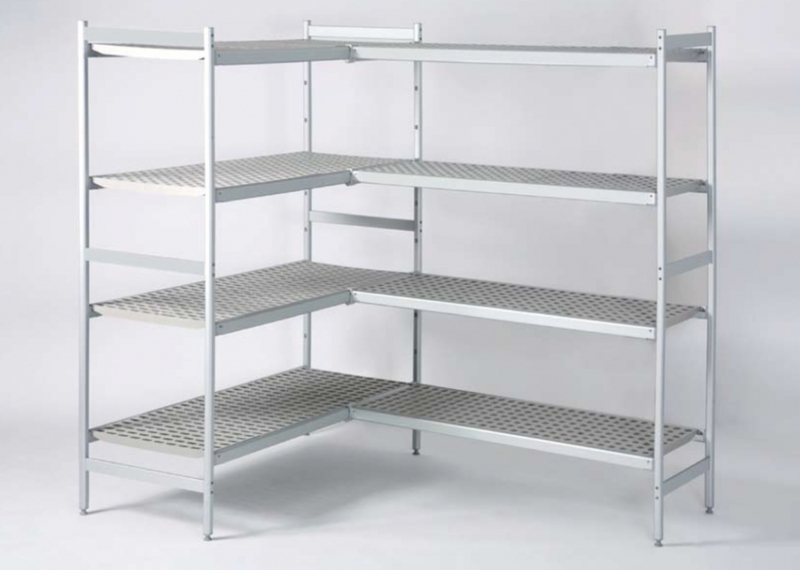 These overhead sliding shelving system enable to increase the available storage space from 25% up to 90%, there is also a saving in terms of refrigerating and conditioning facilities installation. With the possibility of choosing the position of the scroll track (overhead or on the floor), each module of this conception can support 400kg. The fluid and silent scrolling system guarantee the maximum easiness in the movement and an important confort of use. 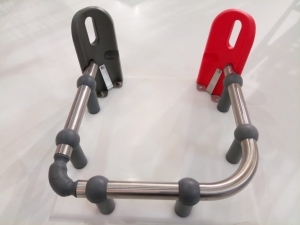 Italmodular is not only taking care of the cooler shelves but in our range of products you can also find conception for cooler counters protection against the impacts created by the shopping trolleys or trolleys transporting goods. You can also find overhead rail, framework and hooked bars for the storage and the transport of meat inside the cooler rooms. To learn more about the story of our company, our values and discover our range of product you can visit our website and for any kind of information don’t hesitate to contact Italmodular. We will be at your disposal to answer any question.